Stay connected and enjoy your favourite media on the go with an Archos tablet. The appeal of tablets is obvious. Not everyone wants to lug a laptop everywhere they go and sometimes a smartphone simply isn't big enough. Our range of Archos tablets offer slick, intuitive computing that's svelte enough to slip into your bag and light enough that you'll barely notice it's there. 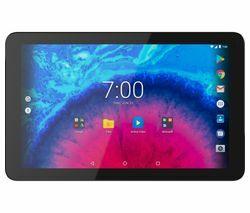 Our collection of Archos tablets includes the 10.1 inch 101e Neon and the extra-compact 79b Neon, which is just 7.9 inches. Both tablets looks stunning thanks to their sleek design and quality HD screens that will present your media in beautifully vivid detail. IPS technology further enhances display performance, ensuring you get a good view of the screen from every angle. These accessibly priced devices are also surprisingly powerful thanks to impressive quad core processors that will ensure crisp, smooth video playback and seamless multi-tasking with your apps. 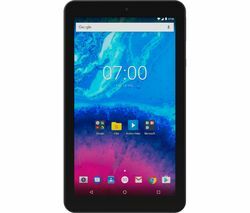 On the subject of apps, these versatile Android compatible tablets grant you access to loads of them – well over one million in fact! Just jump onto Google Play and take your pick. Expandable storage is another handy feature of our Archos tablets. If 16 GB isn't enough storage for all your media, the microSD card slot lets you add an extra 32 GB – enough to save all your photos and videos. It's a great option that gives you the flexibility to update your device when you need to. Alongside our Archos collection you'll find an extensive choice of Lenovo tablets in our computing department. Our selection boasts a wide variety of portable devices, from Apple iPads to Samsung tablets like the Samsung Galaxy.